Identifying risk and providing evidence-based prevention and treatment strategies. The MSRC Research Program runs cutting-edge empirical studies to further the knowledge base on topics such as risk assessment, treatment, and prevention, as they pertain to suicidal behavior in the military. Group therapy has proved effective in dealing with a variety of mental health issues, from depression to chronic traumatic stress in Veterans, but it has rarely been used to help individuals at risk of suicide. Lora Johnson of the VA Medical Center in Louisville, Kentucky, is using group therapy to treat suicidal Veterans, including many who have attempted suicide, in order to develop objective evidence on the method’s effectiveness. Recent research Dr. Courtney Bagge and colleagues conducted with veterans and civilians has shown evidence that certain observable behaviors increase in the hours before a suicide attempt. Identifying those observable behaviors, which Bagge calls behavioral warning signs (BWS), can help in determining which individuals are at imminent risk for suicide. Therefore, understanding the relation between BWS and suicide in these individuals could help in predicting and preventing suicidal behaviors. Neuroscientists have used brain imaging techniques to learn many things about the brain but there have been few studies attempting to find brain characteristics that are associated with suicidal behavior. Thus Deborah Yurgelun-Todd of the University of Utah is now studying a group of Veterans, half of whom have a history of self-directed violence, to search for brain differences between Veterans who have attempted to hurt themselves and those who have not. "Caring letters" have long been identified as an effective suicide intervention. This study aims to use text messaging or short messaging service (SMS) as a low cost caring contact, in hopes of decreasing suicidal thinking and behavior for active duty military personnel. Participants will receive text messages at pre-scheduled times over a 12 month period to asses the effectiveness of such intervention. Researchers at Florida State University have previously found that they could reduce risk factors for suicide with a brief computer-based intervention designed to improve mood and reduce anxiety. However, one limitation of that promising study was its limited duration. Now that group of researchers is returning to their original subjects to see if that brief intervention can indeed reduce risk factors related to suicide for years afterward. Strikingly, firearm suicides account for approximately half of all suicide deaths each year in the United States (U.S.). Certain segments of the U.S. population, such as military service members, demonstrate firearm suicide rates higher than that of the general population. One approach that clinicians use to mitigate risk of firearm suicide is lethal means safety counseling. Although lethal means safety counseling is considered a best practice for firearm suicide prevention (and suicide prevention more broadly), research on its acceptability and utility is remarkably underdeveloped. Research has shown that interpersonal problems are closely linked with an increased risk of suicide, so it seems likely that the high rates of marital disruption among service members and Veterans might influence the high rates of suicide among these groups. James McNulty and Michael A. Olson are hoping to improve military marriages with a novel, computer-based technique for strengthening relationships. Veterans with traumatic brain injury are significantly more likely than other Veterans to die by suicide. A recent study in Australia found that it was possible to reduce hopelessness among adults with traumatic brain injury with a treatment program using cognitive behavioral therapy. Lisa Brenner and Grahame Simpson are heading up a study to determine if a similar cognitive behavioral approach can reduce hopelessness among a group of U.S. Veterans suffering from lasting effects of traumatic brain injury. It is well known that people at high risk for suicide have certain emotional differences from those people who are not at risk, but are there cognitive differences as well? This is a question that Matthew Nock at Harvard University has set out to answer in a study that will eventually involve 400 subjects at Harvard and at the Boston VA Medical Center. One of the strategies that clinicians have used to help patients remember their reasons for living is the "hope box." It can be a real wooden box, a shoe box, a manila envelope, or pretty much any other sort of container. Throughout 2013 Nigel Bush at the National Center for Telehealth and Technology carried out usability testing on an initial version of the virtual hope box. Although the original version seemed quite successful, Bush expects the new version to prove to be even better. It has consistently been shown that there is a need for better methods to predict suicidal thoughts and behaviors. When examining the most prevalent means of assessing the likelihood of an individual engaging in suicidal thoughts and behaviors, researchers have shown that little progress has been made over the past 50 years. Dr. Andrew Littlefield and colleagues hopes to utilize multiple techniques labeled as machine learning to better examine predictors of suicide. Will Hope Notes Work at the E.R.? A successful treatment technique used by therapists is to put together a list written on a note card of things that make the patient’s life worth living. Craig Bryan and his coworkers will be testing the effectiveness of providing military patients with these note cards at crisis-triggered visits to a clinician, instead of through multi-session psychotherapy. Over the past decade or so it has become increasingly clear that there is a link between sleep problems and suicide. The evidence indicates that insomnia is a separate risk factor that itself makes a person more likely to think about and to attempt suicide. Sarra Nazem, a clinical research psychologist at the Denver VA Medical Center and the University of Colorado Medical Center, is testing an Internet-based intervention that is designed to help Veterans and Service Members address problems with insomnia. One of the major factors that has been found to contribute to suicide risk is a pattern of experiencing feelings of anxiety. If ways could be found to help Veterans reduce feelings of anxiety, it could also reduce suicide risk in those Veterans. This is exactly what Wen Li and Brad Schmidt have set out to do, focusing on helping Veterans and others learn to handle anxiety-causing smells. Service members screening positive for suicide risk frequently do not attend behavioral health outpatient care. Barriers to care, such as concern about unit stigma, remain prevalent. Dropping out of care is also common. Dr. Kate Comtois will continue her previous study in order to understand the long-term outcomes of providing Caring Contacts via text message. Research into the connection between anger and suicide suggests that people who are angry much of the time tend to isolate themselves from others and that they are much more likely to feel that they are a burden to others. Given the relationship between anger and increased suicide risk, a natural question to ask is whether reducing feelings of anger among those at high risk for suicide could reduce the likelihood that they would attempt to harm themselves. This is the question that Jesse Cougle at Florida State University has set out to answer. It is commonly said that suicide risk changes the closer an individual gets to attempting suicide. Though this belief is widely accepted, it is a belief that is based on little-to-no scientific evidence. In addition to this issue, a team of researchers recently found that, overall, traditional risk factors and approaches to predicting suicide risk are little better than chance at determining who will die by suicide. Dr. Jessica Ribeiro, Assistant Professor in Psychology at Florida State University, aims to address these two problems. When a clinician deals with an emotionally troubled patient, one of the most important questions to ask is, “How great is the risk that this person will engage in some form of suicidal behavior in the near future?” Unfortunately there is still no clear-cut best way to gauge the likelihood of near-term suicidal behavior in a given individual. To identify such a “gold standard” for clinical suicide risk assessment, Thomas Joiner and Peter Gutierrez are testing four widely used measures to determine which measure or combination of measures offers the most accurate prediction of suicide-related behaviors three months into the future. When someone dies by suicide, it can have devastating effects on the people left behind. This is particularly true in close-knit communities such as the military. Some of the survivors may even be more likely to attempt suicide themselves. Julie Cerel is conducting a study focused on determining how many Veterans know someone who died by suicide and what their reactions are to the suicide. What differentiates people who die by suicide from other people? This is a key question for any clinician or professional who would like to be able to predict which people are most at risk for death by suicide. Unfortunately there is still very much about that question that remains unknown, including a very basic issue: Is suicidality a categorical trait - people either are suicidal, or they aren’t - or is it more of a continuous trait, where people can fall anywhere on a spectrum from not suicidal at all to highly suicidal? The answer has implications both for the assessment of suicidality and for its treatment. Although there is likely some overlap among the processes associated with suicidality across active duty individuals, veterans, and civilians, there may be important differences as well. Drs. Franklin and Ribeiro are conducting a study to investigate whether machine learning algorithms can accurately distinguish between active duty servicemembers, veterans, and civilians with a history of suicidal thoughts or behaviors. 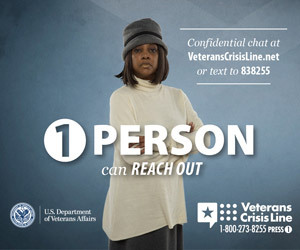 The partners of military service members are in an excellent position to identify suicide warning signs in and provide support to service members; however, many partners do not know how best to respond in crisis situations. Further, no couples-based suicide prevention interventions have been developed. Two mood factors are believed to be key aspects in determining whether a person will commit suicide: thwarted belongingness and perceived burdensomeness. To help individuals deal with these two types of feelings, Brad Schmidt has developed a new Web-based treatment program aimed at helping people recognize them and address them. For suicidal Veterans who are treated on an inpatient psychiatric unit, the weeks and months following their discharge pose a special risk. Much of the risk seems to be rooted in the transition from inpatient care to outpatient care, which can leave Veterans feeling unsettled. Bridget Matarazzo at the Rocky Mountain MIRECC is testing the Home-Based Mental Health Evaluation program, or HOME, designed to lower the risk. Over the past several decades, despite an increase in scientific efforts to better understand and prevent suicide, the suicide rate in the United States (U.S.) has remained largely unchanged. Remarkably, some segments of the U.S. population, such as military service members, have actually demonstrated an increase in the rate of suicide deaths. Researchers from Florida State University believe they have a solution to optimize suicide risk detection: the use of complex statistical algorithms, such as machine learning. Therapists have found group therapy to be effective for treating Veterans for depression, chronic traumatic stress, and various other mental ailments, but it has generally not been used to deal with suicide-related issues. For the past several years Johnson, with funding from the MSRC, has been exploring the use of group therapy for treating suicidal Veterans, including those who have attempted suicide. While many of the questions in the MSRC database are established mental health and suicide screening tools in civilian populations, most have not been verified using military samples. Testing if specific groups of service members ascribe similar meanings to questions assessed by these tools is called measurement equivalence/invariance (ME/I) testing and it is necessary to be able to generalize findings across different groups of people (i.e. civilians, military personnel, veterans, etc.). The scientific term for sensitivity to the internal states of the body is interoception. Research has found that people who score low on measures of interoception are more likely to try to injure themselves or attempt suicide. With this in mind, April Smith of Miami University is leading a research effort to study the relationship between interoception and self-injuring and suicidal behaviors specifically in a military population. Michael Anestis at the University of Southern Mississippi is testing several existing prediction models on a group of Veterans to see which are most effective at predicting the likelihood of suicide. He is also adding his own twist with the use of “collateral reporters” in an attempt to improve the models’ ability to predict suicidal behavior. Recent research has shown a link between suicidal behaviors and poor sleep quality. Those with suicidal thoughts appear to be at greater risk for sleep disturbances, including insomnia symptoms, poor sleep quality, and nightmares. Rebecca Bernert and Alan Schatzberg are carrying out a clinical trial testing the use of a brief behavioral sleep therapy to improve sleep and evaluate its therapeutic impact on suicide prevention. This site is intended to be an information resource. If you are in crisis or in need of professional services, please click on this link. MSRC is part of an ongoing strategy to integrate and synchronize U.S. Department of Defense and civilian efforts to implement a multidisciplinary research approach to suicide prevention. Funded through the Defense Health Program and managed by the Military Operational Medicine Research Program (MOMRP), this innovative cutting-edge research aims to enhance the military’s ability to quickly identify those at risk for suicide and provide effective evidence-based prevention and treatment strategies. MSRC is incorporated in the National Research Action Plan (NRAP) on posttraumatic stress disorder (PTSD), other mental health conditions, and Traumatic Brain Injury (TBI). The plan was developed to improve the coordination of government agency research into these conditions and reduce the number of affected men and women through better prevention, diagnosis, and treatment. Suicide prevention research is a key theme of NRAP.